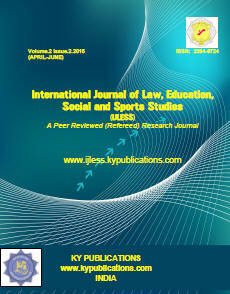 International Journal of Law, Education, Social and Sports Studies (IJLESS) is multidisciplinary, an open access, peer-reviewed and refereed journal published in Both Print & online by KY Publications, India. The main objective of IJLESS is to provide an intellectual platform for the international scholars. 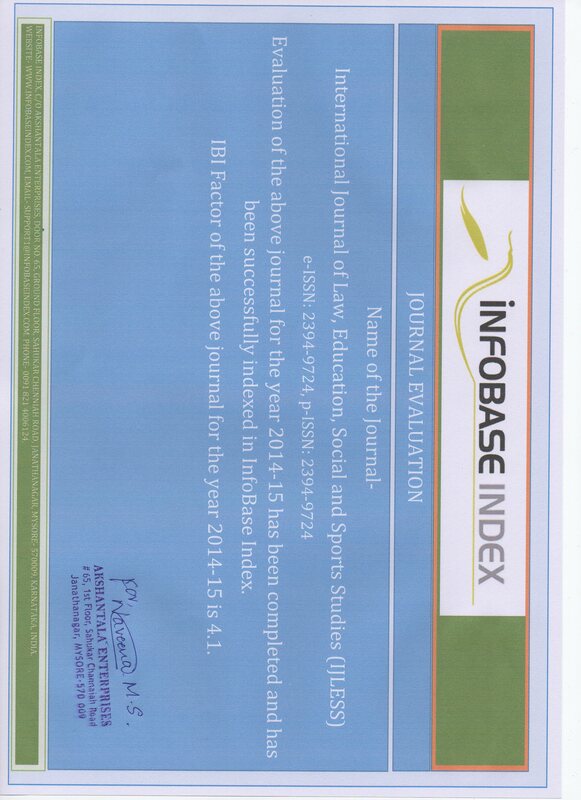 IJLESS aims to promote interdisciplinary studies in Law social science, sports and become the leading journal in law, humanities and social science in the world. IJLESS publishes original research papers, case studies, review papers, literature reviews, book reviews, conceptual framework, analytical and simulation models, technical note from researchers, academicians, professional, practitioners and students from all over the world. Special Issues devoted to important topics in humanities and social science will occasionally be published. Submit your article to editorijless@gmail.com or editorkypublications@gmail.com as an attached file with author name along with author photograph and covering letter . You must give the declaration as to the authenticity of the work that you submit. This declaration should state that your article or work submitted for publication in KY Publications.com Journals is an original work by you and that you have duly acknowledged the work or works of others you either cited or used in writing your articles, etc. This is to certify that the article ……. submitted for publication in KY Publications Journals is an original work by me/us based on my/our research, that I/we have duly acknowledged in the said paper the work or works of others I/we used in writing this article, that I/we have duly cited all such work/s in the text as well as in the list of references, and that I/we have presented within quotes all the original sentences and phrases, etc. taken from the sources that I/we have consulted in writing this article. I/we further declare that the paper submitted for publication in KY Publications Journals has not been previously published, is not currently submitted for review to any other journal, and will not be submitted elsewhere before a decision is made by this journal. 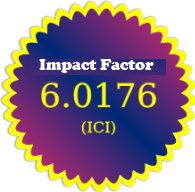 IJLESS is an initiative to provide International Platform for quality research papers. We cover the costs partially through article processing fees. Our expenses are split among editorial costs, electronic composition and production, journal information system, manuscript management system, electronic archiving, overhead expenses, and administrative costs. Moreover, we must cover the costs of publishing the accepted article plus the cost of reviewing articles the journal reject.